Below you you find links to similar projects or resources on the topics related to the CiVi.net project. Community Owned Best practice for sustainable Resource Adaptive management in the Guiana Shield, South America. 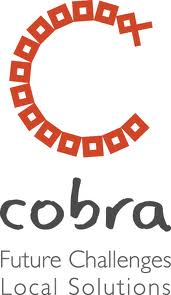 The COBRA Project brings together key South American and European Civil Society Organisations that have extensive experience in enabling and disseminating grassroots solutions to complex problems in the Guiana Shield region of Brazil, Colombia, Venezuela, Guyana, Suriname and French Guiana. The research institutions on the project have scientific expertise to rigorously evaluate these grassroots solutions and determine their impact, while the commercial enterprise brings with it the business and technical expertise for promoting the financial viability of these initiatives. COMBIOSERVE – Community-based management strategies for biocultural diversity conservation. The COMBIOSERVE consortium aims to identify the conditions and principles of successful community-based conservation in selected locations in Mexico, Brazil and Bolivia, working in partnership with local Civil Society Organisations (CSOs) and indigenous communities. Many Latin American and Caribbean rural and indigenous communities have historically developed strategies to regulate land use and conserve biodiversity whilst enhancing livelihoods and reducing conflicts. This has occurred while new panaceas for conservation and development, such as ecotourism, payments for environmental services, and biodiversity derivatives, have emerged and impacted community dynamics in ways that require urgent analysis. The project outcomes will strengthen community conservation and management of natural resources through the design and provision of locally-owned methods and data, and will provide the theoretical and empirical foundations for scaling-up in similar communities and environments. We will scientifically address the opportunities and challenges of biocultural diversity conservation and its role in the resilience of socio-ecological systems, and produce documents for policy and civil society audiences at European and international levels, using varied communication platforms and strategies. Current development model is leading to unprecedented environmental challenges, chief amongst them, climate change. How to face these changes and how to manage them is a key research questions. Even if they are global problems, its effects are locally suffered, especially by the communities that traditionally based their livelihoods in those natural resources. The relevance of these problems at global level has driven different initiatives to increase public awareness and to put in practice measures to improve it. However, many good conservation practices are done at local level. Research is needed to better understand local capabilities and to encourage and support potential locally-owned solutions. COMET-LA objective is to identify sustainable community-based governance models for the management of natural resources that could be used in different social-ecological systems in a context of climate change and increasing competition for the use of these resources. The outcomes will be synthesized and up-scaled to deliver a potentially useful tool to other local communities facing current environmental challenges. International debates on climate change highlight the need to foster adaptation planning in Latin America where significant impacts are expected. However, little progress has been made due to the difficulty of managing environmental dynamics characterized by deep uncertainties and potential tensions at various scales. EcoAdapt is built on the outcomes of two rounds on regional consultation with Latin American civil society organizations (CSO) and scientists. It aims at increasing the capacity of local communities, CSOs, policy-makers and scientists to engage in inter-disciplinary action-research to increase their collective capacity to adapt to climate change. The EcoAdapt CSOs stated that watershed services were the most critical with respect to possible tensions and social conflicts that may arise due to climate change. EcoAdapt will assist communities in developing their water ecosystem-based adaptation strategy. This will be achieved by combining exploratory scenario analysis, participatory backcasting, and social validation via hybrid forums. EcoAdapt will implement part of the strategy in pilot communities and build on existing networks for dissemination to other communities of Latin America and Europe. The Green Initiative is a NGO whose mission is to combat global warming driven by mankind. Among their activities are offsetting the emission of greenhouse gases, restoration of the rainforest, environmental education, research in forestry and climate change and dissemination of quality information to society.